A beautiful, easy-care tree with glossy, heart-shaped foliage. 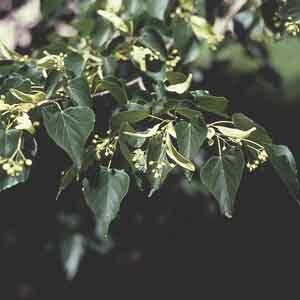 The dark green leaves provide a wonderful backdrop for dainty yellow, fragrant blooms in summer and shade to yellow themselves in autumn. An excellent choice for summertime shade and an attractive silhouette in winter. Provides instant shade and structure to the landscape. Makes a breathtaking specimen plant. Pollution-tolerant selection is ideal for planting along streets and walkways. Easy to grow! When planting, keep the base of the trunk exposed. Adapts well to a wide range of soils. Keep soil moist, watering freely in dry weather.